Staged from Friday 4th to Tuesday 8th May, the Australian capital Canberra welcomed athletes to the Australian Para Championships. In conjunction with the Championships, ITTF Oceania conducted a PTT Level One Coaches Course as well as a training camp for athletes; the initiatives were supported through funding from the Agitos Foundation, the development arm of the International Paralympic Committee. The aim of empowering coaches by providing them with the education and skills needed to run Para training sessions and competitions, the first activity included formal coach education sessions for all invited coaches and players who travelled from Fiji, Solomon Islands, Vanuatu, Papua-New Guinea, Tonga and Kiribati. Following the two-day workshop, players participated in a three-day regional training camp guided by Australian Para National Coach, Alois Rosario and ITTF Oceania High Performance Officer Patrick Würtz. 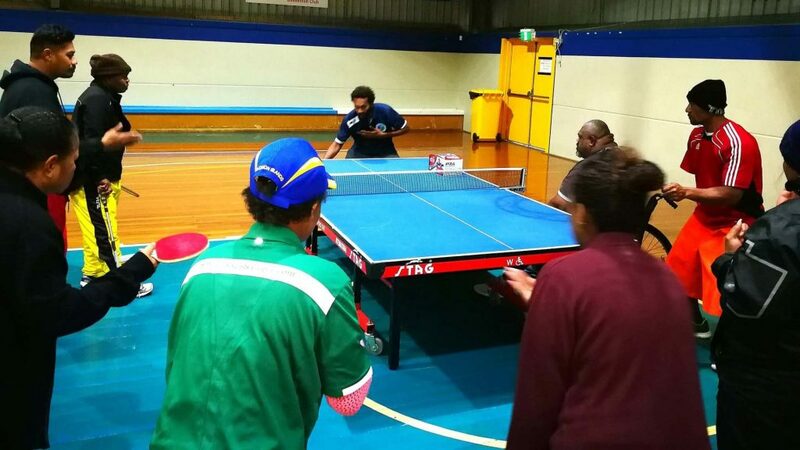 “It was the interaction among the participants from the Pacific islands with the Australian National Team that makes me optimistic about the future of Para table tennis in the Oceania region.” Patrick Würtz. The Australian Para Championships provided players and coaches with tournament experience and a provisional classification; the Para Development Camp combined education, training and competition experience over the ten day period. Through formal education courses as well as on-table training the coaches and players gained valuable insights on both, how to create an inclusive environment that attracts people with a disability and, the tools to teach players skills to live an active lifestyle through table tennis. Course participant Harvi Yee from Fiji used the opportunity to further her knowledge by tapping in to the experience on offer. For Haoda Agari, the trip from Papua New Guinea to Australia provided the chance to not only face new opponents but also benefit from the array of training partners; something hard to find back home. Meanwhile, for Vanuatu’s Ham Lulu, the camp allowed him to develop new skills specific to athletes with disability; the aim to implement on returning home. The camp now over, the hard work truly begins. Special thanks go to Alois Rosario, Roger Massie and the team from the Canberra Table Tennis Association who did an amazing job in organising and facilitating the event.